Whether your traveling by yourself or with a large group, one of the Villa's at Eureka will beautifully suit your needs. Newly remodeled and waiting for you to relax and enjoy. I grew up in St. Louis and Love everything St. Louis has to offer! I Love working with people and especially Vacationers!! I am available 24/7 to answer any question a vacationer may have! 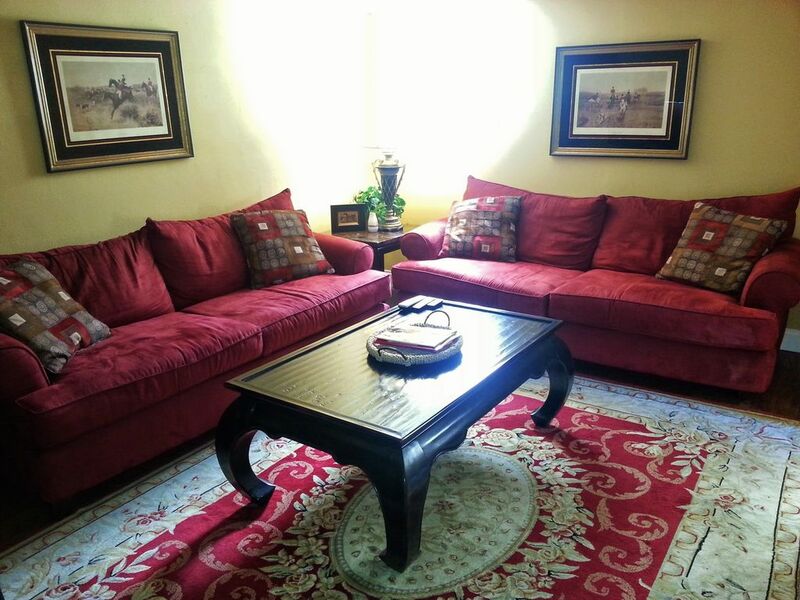 I look forward to making your stay at one of my Vacation Rentals the Very Best Ever! Meramec River Access nearby. Bring your own Kayak/canoe or there is a local business that rents them! Bring your own skis/snowboards or rent them just 1 mile at Hidden Valley Ski Resort! Great place to stay, convenient to Six Flags and other great attractions. We wanted for nothing. Easy 35 minute drive from Lambert Airport. Short 14 min drive to Purina Farms. 2 miles from Walmart and grocery store. 6 flags 3 miles away. We came for a dog show. We have well behaved show dogs and Donna made exception to her no pet policy. Place is fully equipped. We stayed in unit A. Thank you Donna for making my 8 night stay stress free and making exception for our show dogs. Ample room for 5 or more people. Property is in the heart of Eureka, <10 minutes from Hidden Valley and <5 minutes from 6 Flags. Donna, the property manager was very friendly and responsive to any issues that came up or questions I had. Only downside is that this property has one bathroom/stand-up shower, which makes things challenging if travelling with a large group. Also, this is a downstairs unit, so there may be foot noise if the upstairs renters wear wooden shoes and reenact historical battles 'til midnight. The deck area outside is nice and there is a ton of parking for 3 or more cars. The kitchen has all the essentials and the beds are extremely comfortable. Would definitely stay here again. Prefect for our large group - HIGHLY RECOMMENDED!!!! Our large group (17 people) rented out both lower units for a week and the layout between the 2 units was awesome. AND, it's pet FRIENDLY!!! This is the #1 reason we chose this property. We had an issue with both TVs in each unit (they both decided not to work. Weird, huh), but Donna was available right away and took care of the problem and brought us new TVs the next day. The units were stocked well with the essentials and there is a grocery store right around the corner and a Wal-Mart just up the street. Donna is very friendly and easy to work with. I HIGHLY recommend staying here. The next time our group is in town, we will not stay anywhere else!! Thanks Donna!! Great condo with a GREAT owner! The location is Awesome for the Vacationer that wants to visit all the attractions St. Louis has to offer! From a Baseball game downtown, to The World Famous St. Louis Zoo, Science Center, City Museum, to The Gateway to the West, The Arch! All attractions are within 30 minutes!!! Thanksgiving, Christmas, and New Years Eve weeks refer to Standard Rate.